When I make something and I use it constantly it is a winner. 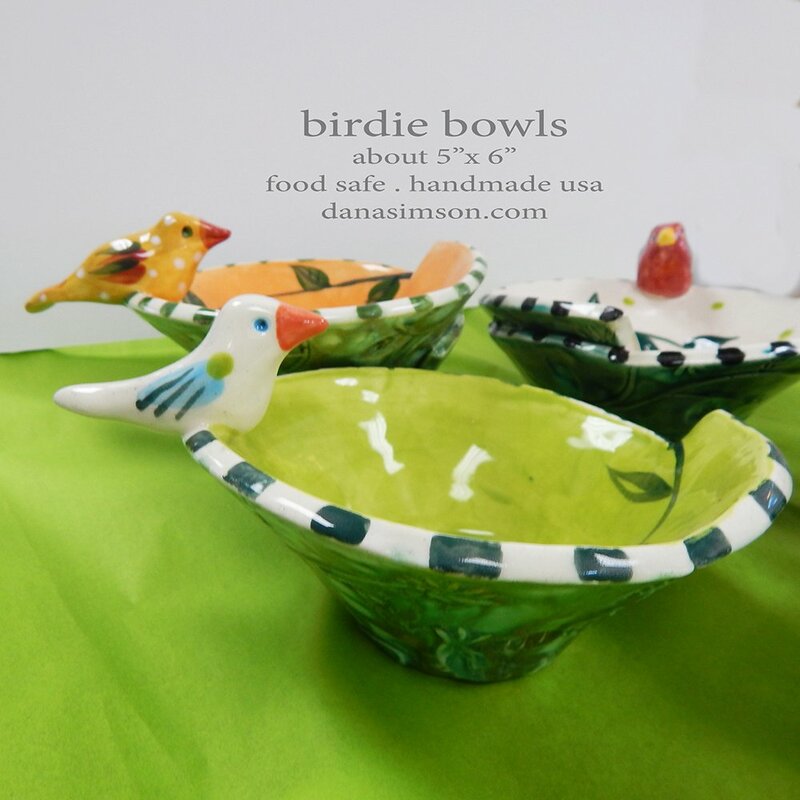 Approximately 2 inches high by 5 wide each patterned bowl has a birdie balanced on the edge. 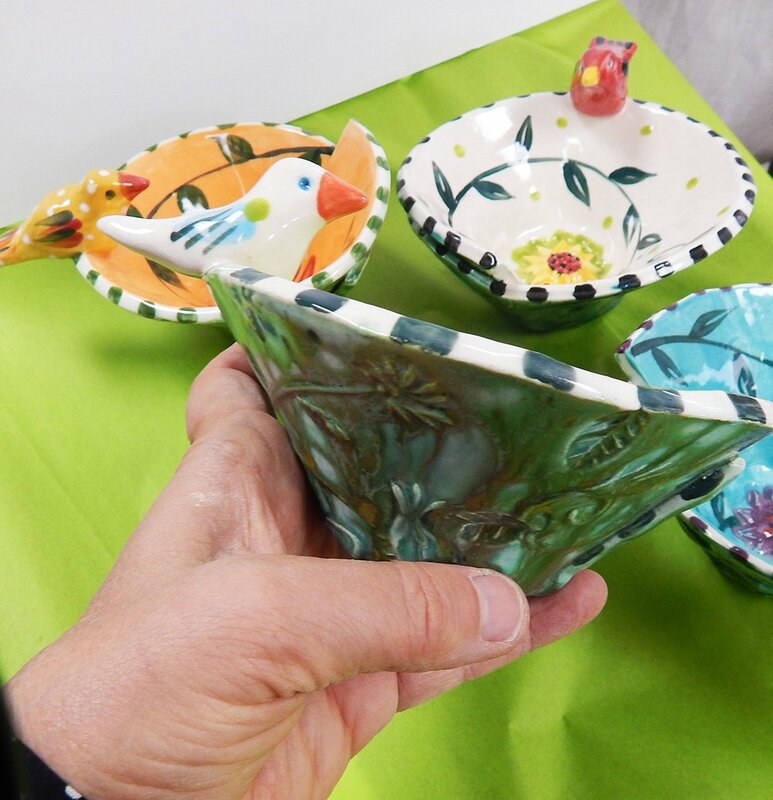 Perfect to serve dips, olives, treats or as a catch all for jewelry, etc. I like to take one full of treats as a hostess gift. I make each to order- specify in “notes” the bird and interior color you want. Crow with white interior, red bird with lime dot, yellow finch with orange, white dove with lime interior, or a blue multi bird with aqua interior. You may also get a deal by buying 4. Food and dishwasher safe. Hand-crafted by me here on the Chesapeake Bay, in Maryland. I hand build each one. First I roll out a slab of clay that I cut into squares. Next I “print” my bird and vine texture into the clay by pushing the clay into a large stamp I carved. This creates a raised relief that covers the exterior of each bowl. When fire each bowl to glaze it the color runs and settles into the etched areas of the design. Each bird is formed individually from a ball of clay. I have to work and wait so the clay bowl I form from the printed slab firms up enough so I can perch the little bird on the edge of the bowl. I use another daisy clay stamp I made to imprint the inside bottom of the bowl. 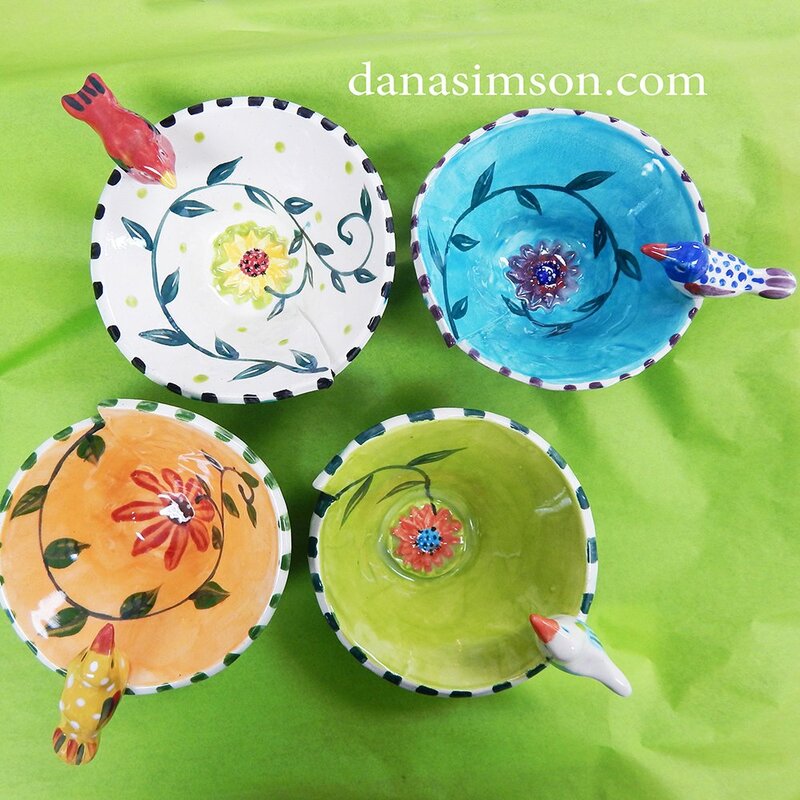 Of course each ceramic bird bowl has its own personality.